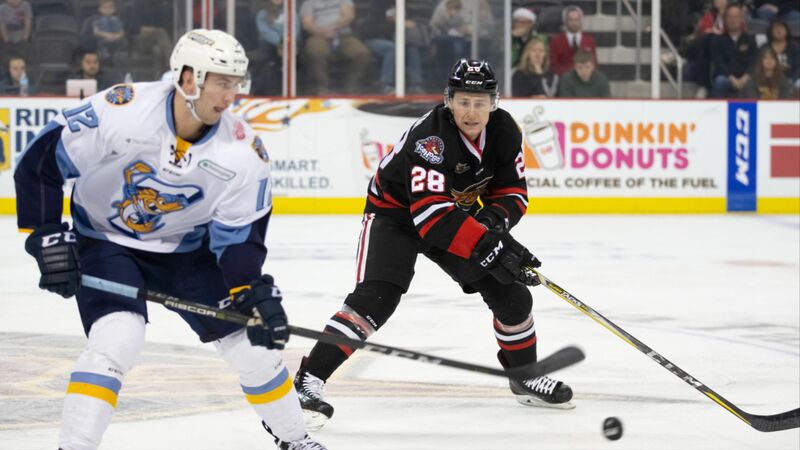 TOLEDO, OHIO – A goal from Matteson Iacopelli midway through the second period was the only score for the Indy Fuel (23-22-2-1) as the Toledo Walleye (29-11-4-3) dominated the game with goals in every period for a final 4-1 score at the Huntington Center in Toledo Sunday evening. The Walleye widened their lead when Marcus Crawford zig-zagged the puck through center ice and waited until Sadowy was positioned just outside the left corner of the crease to deflect the puck to the right corner of the net. One minute later Iocapelli, who was assigned to Indy earlier this week by the Fuel’s AHL affiliate Rockford IceHogs gave the Fuel their only point of the game when a loose drifted from Indy’s zone to center ice where Iocapelli beat out Walleye defenders to gain possession. Iocapelli was able to outskate Matt Register and slip the puck through goaltender Kaden Fulcher’s (22 saves) legs. The Fuel travel to Cincinnati to play the Cyclones on Wednesday, February 13th for a 7:35 p.m. puck drop and then move on to Wichita to take on the Thunder Saturday, February 16th at the Intrust Bank Arena at 8:15 p.m.